I have been sitting here, all morning, pouting because I want to make ice cream. Needless to say, this desire has struck the day before payday when I am unable to galavant and find interesting ingredients. So I do what every ice cream making fiend does- I rummage! What do you do when life gives you lime juice, grenadine, and cherries? Make Shirley Temples of course! 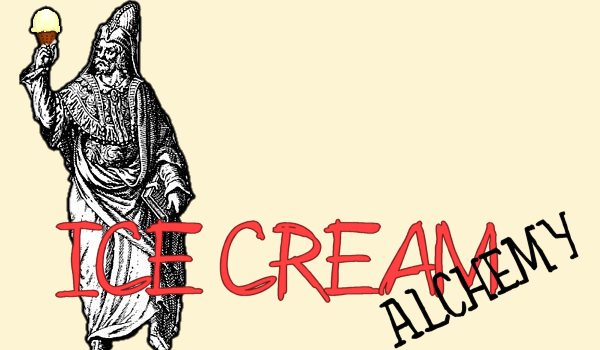 And dollface, you are the inspiration for today's ice cream adventure. Non-traditional (aka fruitless) sorbets are quite difficult because you are basically manipulating sugar water to not taste like...well...sugar water. These NTS are usually best accomplished if you are working with a concept that will not be achieved by adding dairy. Teas, extracts, herbs, and spices are usually what work best with the NTS but can also wind up being terrible. I currently would much rather be playing around with the reactions of non-dairy yogurts in ice cream, but alas, that will have to wait. For now, it's Temple-Time. Dissolve sugar in water over heat. Add lime juice, grenadine, and cherry liquid. Cool & Churn. Freeze until firm and serve with cherries as garnish. All in all, it's a summer treat that's fun for kids. It's a cool twist on a favorite drink that can be served as a scoop on a cone or in a glass filled with lemon-lime soda. 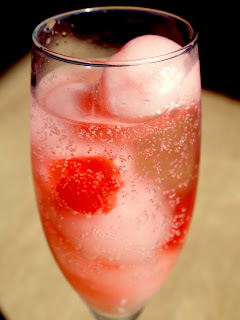 If you're looking for simple-stick with a regular Shirley Temple, but if you want to have some fun with it this is for you. Please keep in mind that there is no nutritional benefit to this NTS or to Shirley Temples in general- Grenadine, Soda, and Maraschino Cherries are literally all sugar. Please be sure to limit how many Shirley's your kiddo has, especially if they are still losing teeth- don't want to rot them out before they have a chance to grow!